Pura Vida—“pure life.” It sounds like a popular song, but it’s actually one of Costa Rica’s most popular greetings, and you’re sure to hear it on this vacation. And while Monograms can’t give you “the pure life” back home, we can promise you pura vida on this 7-day vacation, because we’ve taken care of all the details for you. Your package includes hotel reservations, sightseeing, daily breakfast (plus one lunch and one dinner), and transportation between cities. 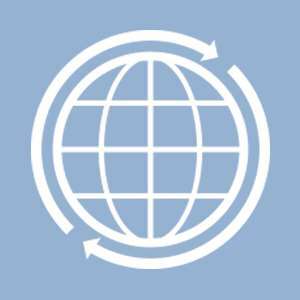 We’ve also arranged for you to have the services of a Local Host®—someone who is there for you to answer questions, offer suggestions, let you in on little-known secrets, and help your vacation run smoothly. When you arrive, Monograms can whisk you from the airport to your selected hotel, allowing you to start your vacation immediately. At your hotel, your Local Host will give you helpful materials for your vacation, so you won’t waste time trying to figure out where to go and what to see. The next day, after your included breakfast, your journey will take you to the town of La Fortuna. Here is the Arenal region, you’ll stay two nights, and witness Arenal Volcano, considered one of the most active volcanoes in the world. Enjoy a guided walk through the lava trails; visit Tabacón Hot Springs, where you can relax in the natural thermal springs surrounded by waterfalls and lush, tropical forest; and take a boat ride across Arenal Lake. You’ll surely think you’re living the pura vida! 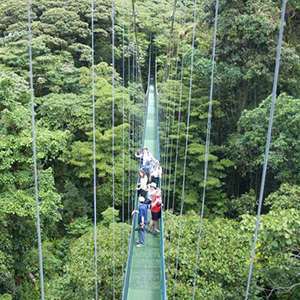 We’ll then transfer you to Monteverde Cloud Forest, home to over 3,000 plant species, roughly 120 mammal species, 400 bird species, and 1,200 species of amphibians and reptiles. Here, you’ll stay two nights and join an expert for a guided evening walk to search out the jungle’s nocturnal creatures. 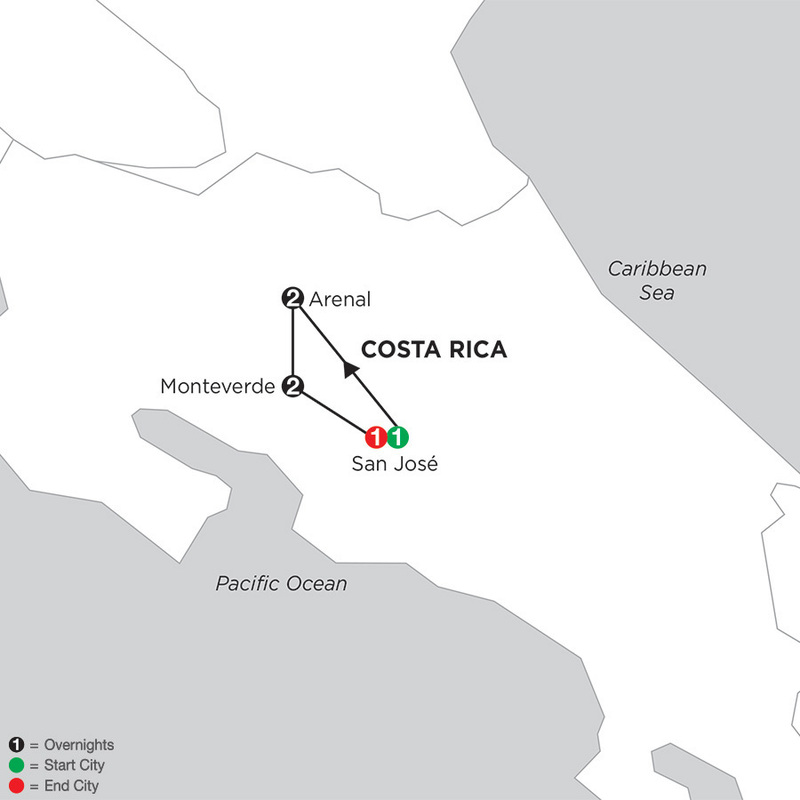 In both Arenal and Monteverde, you’ll have a free day to explore on your own. In Arenal, perhaps enjoy a horseback ride, go river rafting, or visit the Arenal Hanging Bridges, a network of suspension bridges. In Monteverde, visit Santa Elena Cloud Forest Reserve, home to forest fauna such as jaguars, resplendent quetzals, monkeys, ocelots, and many species of birds—not to mention the large diversity of plant species. Finally, we’ll transfer you to San José, where you’ll have time to explore on your own. Perhaps visit one of the many museums or discover the Central Market. Be sure to ask your Local Host for the best place to eat a typical Costa Rican meal with gallo pinto, or black beans and rice. And did we mention that in addition to the services of a Local Host, we’ve included your sightseeing, breakfasts, and transportation between towns? Think of the headaches and hassles involved with planning, organizing and getting to each destination on your own! So what are you waiting for…now’s your chance to experience Pura Vida! Your Monograms vacation package to Costa Rica includes a guided nature walk with a Naturalist just before nightfall in Monteverde’s Cloud Forest. Be on the lookout for the two-toed sloth, coatis, tree frogs, and more.